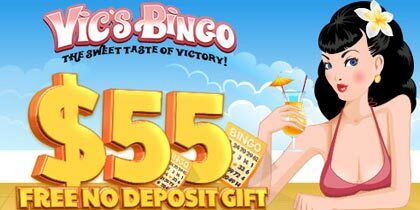 Wink Bingo has a superb selection of 18 new Instant games on its games menu for its members to play and enjoy. This online bingo website is pulling out all the stops to keep its active members happy and to keep them coming back for more. 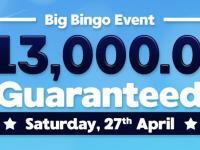 After a veritable flood of exciting new online bingo games and promotions Wink Bingohas now turned its attention to the Instant games that it offers. 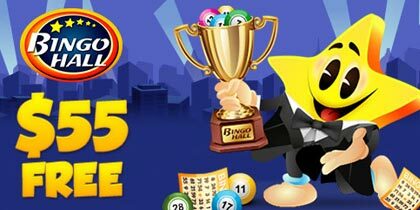 This upgrade of a whopping 18 brand new games is sure to boost business for Winkbingo.com. 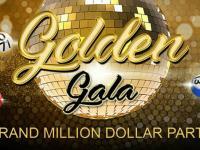 The Instant games have a huge following among online gaming enthusiasts and bring in nearly half of the monthly revenues for the online bingo website. There are 18 new Instant games that can be played at Winkbingo. 15 new online slots games and one new game each in the Scratch Card Arcade Games and Table Games sections make up the new collection at Wink Bingo. The new games are all accessible in the games lobby. A click on the Show All Instants tab reveals all the Instant games, old ones and new. There is New! tab which has 10 of the new Instant games under it. All of these are 5 Reel 25 pay line online slots games. Wink Bingohas introduced a fantastic selection of online slots games, each with a distinct theme, something that will appeal to every online slots player who wants to play here. Classic themes like Pirates, Farm Animals, Jewels, Treasure Hunting, Egypt, etc have all been used in the new lot of online slots games along with the unique Wink Bingo slot which is based on the UK online bingo website Wink Bingo itself. This is probably the only such online slots game on a UK online bingo website. This online slots game is based on a Wink Bingo theme and has icons that will be familiar to players who are Wink Bingo members. 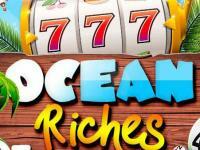 The entire look of this new and exclusive online slots game echoes the Wink Bingo website. 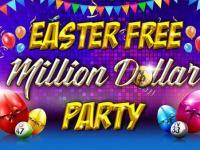 This online slot game is available exclusively on Wink bingo. 10 new online slots games can be accessed in the New! tab. The most popular new Instant games will also be added to the Favourites tab. 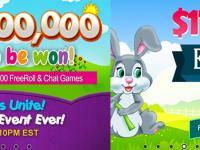 All the new Instant games are also distributed among the various categories. he 15 new online slot games available now at Wink Bingo are Wink Bingo, Double Up Ducks, Piggy Payout, Howling Fun, Gets the Worm, Easter Island, Savanna Sunset, Pirate Princess, Fortunes Prophet, and Mermaid’s Pearl, which can all be found under the New! tab. There are five more online slots games distributed under the various categories in the games lobby. Jewel Journey, Lucky Blossom and Pharaoh’s Luck are under the Adventure Slots tab. The Cute Slots tab has Cupid’s Arrow and players can find the last new online slots game, Gamma Girl under the Fantasy Slots tab. Frolikin Frogs is the new Scratch Card game at Wink bingo. Single O Roulette is a newly added Table game and the Arcade Games tab also has a new game – Big Top Bucks. This flood of new Instant games is already generating quite a buzz as players are trying them out. Instant games enjoy a popularity of their own and Wink Bingo has made the right move with the launch of these new Instant games.